Last year’s winner Teresa Lu of Taiwan will defend her title. The Daikin Orchid Ladies Golf Tournament was played for the first time at the Ryukyu Golf Club in 1988. It was then, as it continues to be, the season opening game of the Ladies’ Pro Golf Association of Japan Tour, and is now more popular than ever. 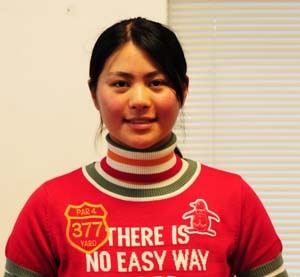 17-year-old amateur Hina Arakaki took part first time at the age of only 12. The tournament has been extended from this year from three to four days following the policy of strengthening the LPGA Tour. The qualifying rounds will be played today and tomorrow, and the final rounds on Saturday and Sunday. And if the golfers have to work one more day, they are not asked to do that for free. The purse has increased to ¥120 million with the winner now taking home ¥21.6 million. 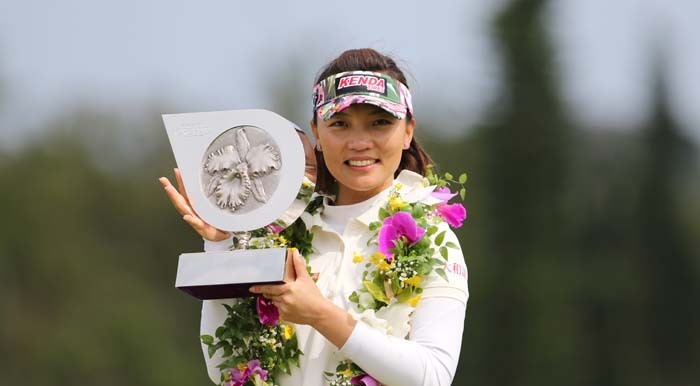 Teresa Lu of Taiwan will lead the field of 108 players set to defend her 2015 Daikin Orchid Ladies Golf Tournament title against the likes of Bo-Mee Lee of Korea, the JLPGA top money winner last year and Japans Momoko Ueda, Shiho Oyama, Erina Hara and Rikako Morita, the winner of the 2013 tournament. 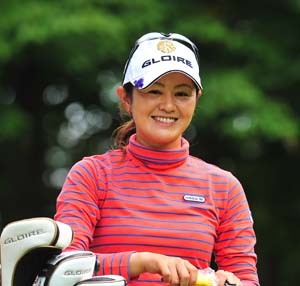 Lu won last year’s tournament with 14 under par with Rikako Morita on the second place with eight under. Shinobu Moromisato has had a long career at Daikin Orchid since 2000. This year six of the players are from Okinawa. Shinobu Moromizato has played in the Daikin Orchid every years since 2000, except in 2003. Her best finish was the second in 2010. The others are Ayako Uehara, Hikari Kawamitsu, Mamiko Higa and Hina Arakaki, a 17-year-old amateur player who last year finished 33 rd and was the only amateur to make the cut to the final rounds. She also was the youngest player ever in the tournament in 2011 when she was a 12-year-old elementary school student. Tee-off for the first and second round of the 4-day tournament is on Thursday and Friday at 8:30 a.m. Saturday and Sunday the tee-offs begin at 8 a.m.
Tickets for men for the first and second day cost ¥2,000, and on two final days tickets are ¥3,000. High school age and younger children, women and all seniors 70 and older can attend free. Tickets are available at the gate of the Ryukyu Golf Club. The JLPGA has strict rules for spectators. Cell-phones must be on the silent mode, no photos or videotaping are permitted, and no high-heel shoes are permitted on or near the course. There’s no parking at the clubhouse. Parking is available at Nishihara Marine Park at Agarihama with a free shuttle bus running frequently. The tournament is sponsored by Daikin Industries Ltd. The top 50 competitors move to the final rounds on Saturday Sunday. The last holes of the final rounds are televised live on Okinawan RBC TV from 16:00 on Saturday and 15:30 on Sunday. TBS sends an hour-long summary on its BS satellite channel starting at 19:00 on Friday and Saturday, and 17:30 on Sunday.